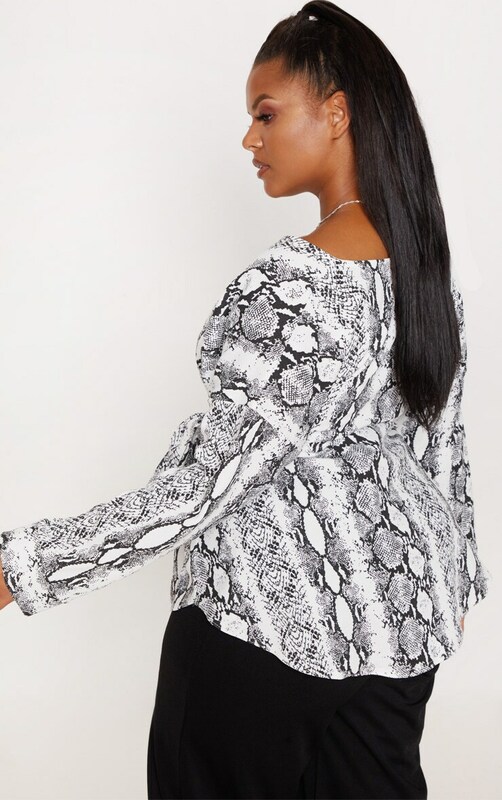 Work prints into your wardrobe this season with this on trend blouse. 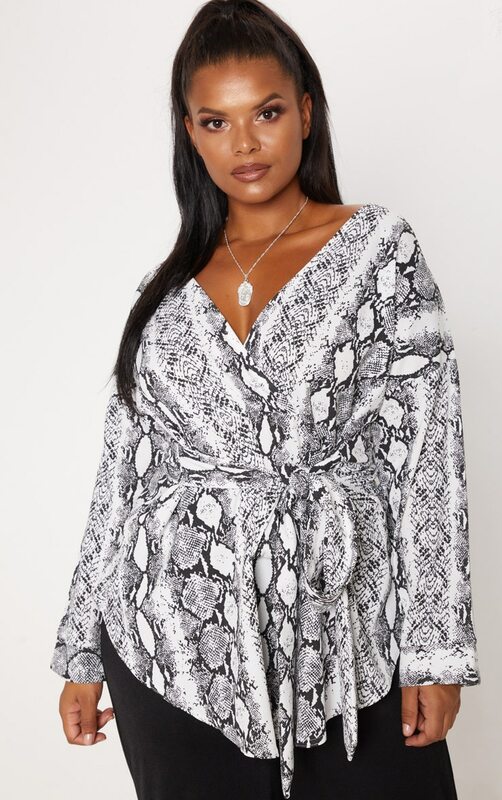 Featuring a grey snake print material with a tie waist design, what's not to love? We love this styled with black wide leg pants and barely-there heels for a look we're loving.